What we do is simple. We turn weak signal into strong. Through a global network of hardware developers and cutting edge wireless technologies, we deliver the worlds most innovative RF creations. We built our own online research platform to provide technical information on every mobile network on the planet. We understand your world and know how to help. Let's bring connectivity to the world. We bring together the best people and equipment to deliver high performance wireless solutions anywhere on earth. We're on a mission to connect the world. We are an Australian-based wireless technology company, specialising in high performance 4G and 5G cellular and mmWave technologies. Our team provides full radiofrequency consulting services to our clients, following the product lifecycle from design, development, testing, production, through to post-production verification. Using our significant reach, we also help designers and manufacturers introduce their products to the global marketplace. Our firm maintains a comprehensive network of manufacturers, laboratories, and technology developers across Asia and abroad. We work closely with your team to source antennas from 225 MHz to 220 GHz, transmission and distribution cables, assemblies, connectors, military, aerospace, mmWave, and system components. Crucial to bringing connectivity to the world is putting theory into practice and building real-world systems that extend the operation of cellular networks. We develop High Speed Antenna Array (HSAA) units that leverage emerging 4G and 5G technologies such as Massive MIMO, Coordinated Multipoint, and Beamforming to deliver multi-gigabit throughput. 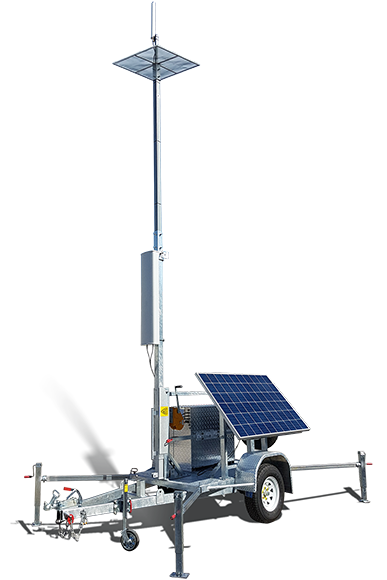 To deliver telecommunications to isolated and remote areas, we've designed quick-deployable systems that your team can tow or truck to site. Stay tuned, more information will be released in the coming months.